As I described in my previous post, I liked using lucky bamboo in my floral arrangements since they would continue to live on. 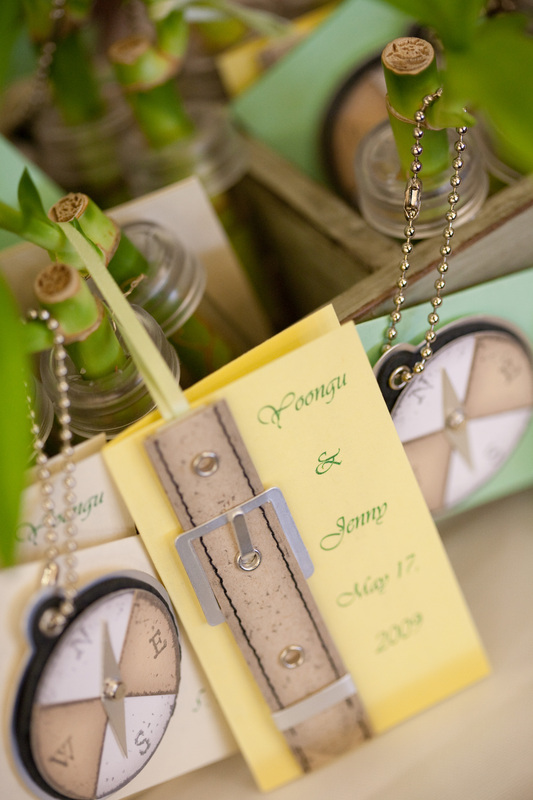 Likewise, I really liked the idea of a living memento as a wedding favor for our guests. I was thrilled when I found these little test tube lucky bamboo stalks from this online vendor. They came complete with their own little tube of water to keep them alive and well until they were moved into a more permanent home by my guests. This project was among several I had during a wedding crafts day I hosted. Some of my dear friends volunteered their time to help me make these favors. The bamboo arrived in bulk, with the test tubes packaged separately. We needed to use a knife to slit a small “x” on each lid. Then, we filled each vial with a little water, placed the lid on the tube, and then gently inserted a bamboo stalk inside. 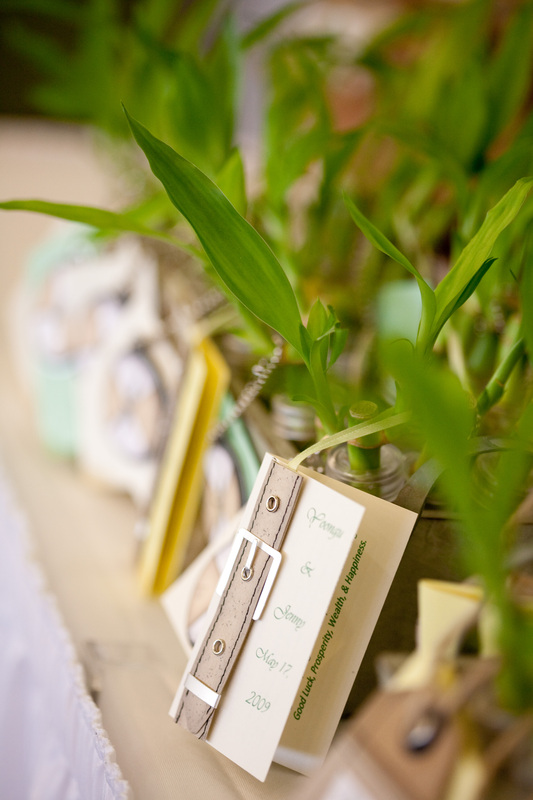 Next, each bamboo got a small tag that I crafted to tie the wedding favor in with my travel theme. The tags either featured a paper compass or a paper luggage strap/buckle. In true discount diva form, I found these embellishments by chance at Big Lots at huge markdowns. 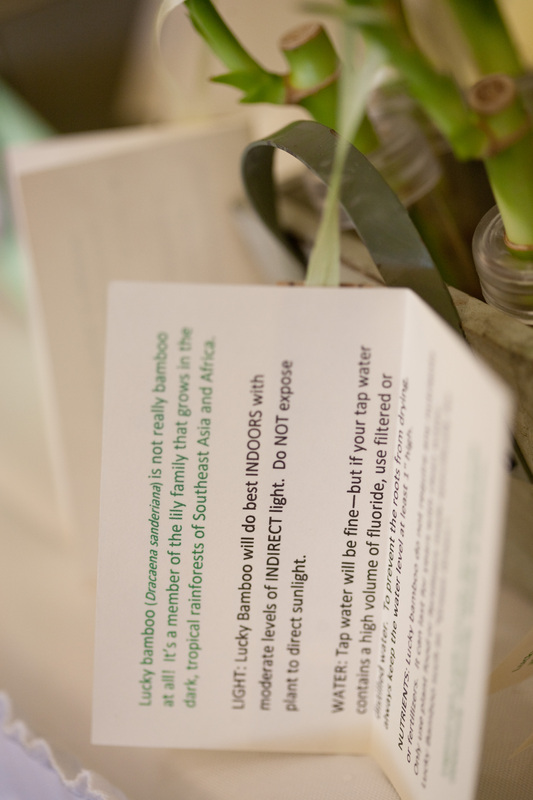 Inside each folded tag, I included care instructions for the bamboo to help ensure their long life! 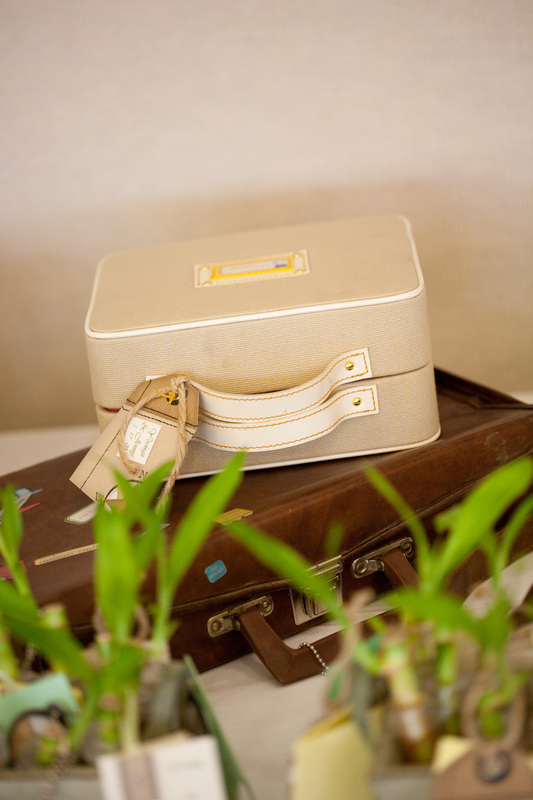 To complete the display of wedding favors, I also added a few pieces of dressed up luggage that I got for a few dollars at a local flea market. It’s been six years since the wedding, but I would like to think that these happy mementos are still alive and well in their respective homes!